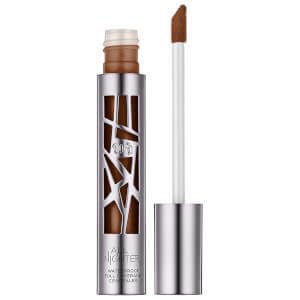 Treat your skin to Urban Decay’s All Nighter Liquid Foundation for a flawless complexion that will last all day and all night. The full coverage, oil-free, gel-based foundation offers a modern matte finish that never looks flat. 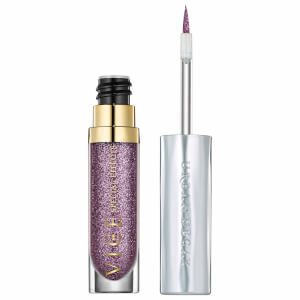 With a 25% pigmented formulation, building coverage or applying multiple layers is not necessary. Light-diffusing and imperfection blurring, skin is mattified upon application, absorbing excess oil so you can be confident of a shine-free day. Available in a wide range of shades, the All Nighter Liquid Foundation is housed in a stylish glass bottle with gunmetal asymmetric cut-outs. The shade is always visible yet the bottle will not get messy. An airless pump ensures every last drop is used. 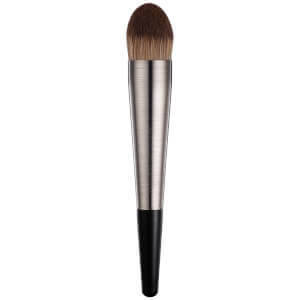 Easy to apply with fingers or for a professional look apply with the Urban Decay Pro Optical Blurring Brush. Aplique na pele com uma esponja ou pincel de base ou com o Urban Decay Pro Optical Blurring Brush começando no centro do rosto e esbatendo para fora. Cyclopentasiloxane ,Aqua (Water/Eau), Methyl Methacrylate Crosspolymer, Dimethicone, Isododecane, Butylene Glycol, Acrylates/Dimethicone Copolymer, PEG/PPG-18/18 Dimethicone, Phenyl Trimethicone, Magnesium Sulfate, Lauryl Polyglyceryl-3 Polydimethylsiloxyethyl Dimethicone, Phenoxyethanol, Dimethicone Crosspolymer, Disteardimonium Hectorite, Triethoxysilylethyl Polydimethylsiloxyethyl Dimethicone, Isopropyl Titanium Triisostearate, Dimethicone Crosspolymer-3, Propylene Carbonate, Tocopherol. [+/- (All Shades May Contain /Toutes les couleurs peuvent contenir): CI 77891 (Titanium Dioxide), CI 77491/77492/77499 (Iron Oxides)]. Experimentei esta base numa loja física para perceber o tom ideal para mim e amei. A cobertura é ótima e com apenas um "pump" consegue-se cobrir praticamente todo o rosto. No site da Lookfantastic o preço desta base é sem dúvida o mais atrativo. Por curiosidade experimentei esta base e posso dizer que não quero mais nenhuma. Das melhores bases a termos de cobertura, duradoura, sem precisar de retoques. Conquistou o meu coração definitivamente. Primeiro produto que experimento da marca e não me arrependo por cada cêntimo dado, melhor de tudo, na LookFantastic tem um preço excelente como não se encontra em lojas físicas. Voltarei a comprar definitivamente.